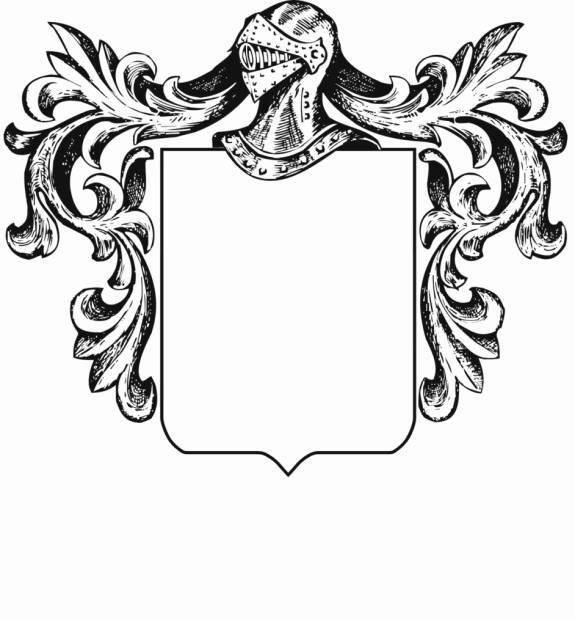 If you wish to design your own coat of arms in accordance with our instructions found below, you may use this sketch of the basic outline of a coat of arms to do so. Just divide the shield any way you want as per the examples below and enter the symbols you want in their proper place within the shield. If you cannot draw just indicate the symbols or charges you want and their position in the shield by means of numbers. If you need any help, please do not hesitate to write to us. Arms: Azure, a chevron or between three escallops argent. Meaning: The shield is blue and has a chevron in gold between three scallops in silver. 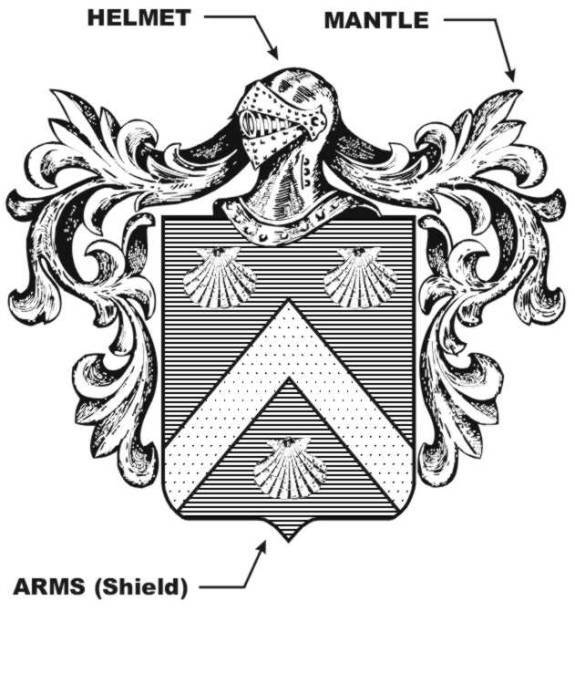 The shield is the object where the emblems or charges of heraldry are shown. It may vary in shape, but the most common is a rectangle with a tip at its base. The space within the lines of the shield is known as the field. The shield is distinguished by certain colors, metals and furs called tinctures. Fially, the shield may be charged with a variety of animals both real and fabulous, geometric figures and other objects which are known as ordinaries or charges. The shield may be divided into a number of different shapes by certain division lines. See the examples page for details. One possibility is that the shield may be divided horizontally into three equal parts known as chief, fess and base respectively. The lines that divide the shield or charges are always straight unless otherwise described. The most frequently used partition lines, other than straight lines are shown below. Mantle: The mantle derives from the french word manteau and served as a protection from the heat and cold being spread over the helmet. Helmet: The helmet varied in shape in different ages and. countries, but in heraldry it is always shown in profile and looking to the right of the shield. Helmets of kings and nobility are shown full face. Supporters: Supporters date from the fourteenth century and are animals standing erect supporting the shield. Their use is usually limited to Royalty and the Nobility. Motto: The motto is a word or sentence displayed in a scroll underneath the shield. It probably originated with the “cri de guerre” or war cry.